HOPE Invited To Karachi Commissioner’s Meeting For Heat Related Health Risks & Mechanisim To Control It. HOPE, an education related NGO in Pakistan, http://www.hope-ngo.com/Education/NorthernPakistanHomeSchools.aspx attended the meeting along with several other organizations including the heads of Civil Hospital Karachi, Jinnah Hospital, Abbasi Shaheed Hospital and several other Hospitals based in Karachi and different cities of interior Sindh..
Once again the “LEAD” team members gave presentations on how they along with the Indian Gujrat Government have very successfully managed the heatwaves since the disasters of 2003 and 2006 by implementing early warning systems and that bring into motion a whole mechanism of disaster management – something they want to replicate here in Pakistan.The discussion first revolved around how the temperatures were extremely high during last Ramadan and how its intensity persisted for the first ten days without any let up. And this scenario is very much expected to persist during the next summer season particularly during the Ramazan. All the hospitals’ representatives advised how they planned to cope with such a calamity should such a situation, although they did admit that they were ill-prepared for the situation. However,there were disagreements amongst the participants as they could not figure out exactly who the stakeholders of such program really were and how could they be integrated at the time of exact need to perform as the French do or the Gujrat government did. The other organizations including HOPE, an education and Health related NGO in Pakistan, http://www.hope-ngo.com/Health/MaternalChildCenter.aspx advised the participants how they could provide mechanism of providing advanced awareness of such situations and teach and provide essential information as to how to cope should such a disaster occur in the future. Grumblings of not taking all the right stakeholders on board continued and the dispute of disbursement of funds still being held back and not extended to the stakeholders especially to the larger public hospitals who shoulder the major responsibilities looking after more than 90% of the affected victims was voiced by several participants – and many agreed to their points of view. 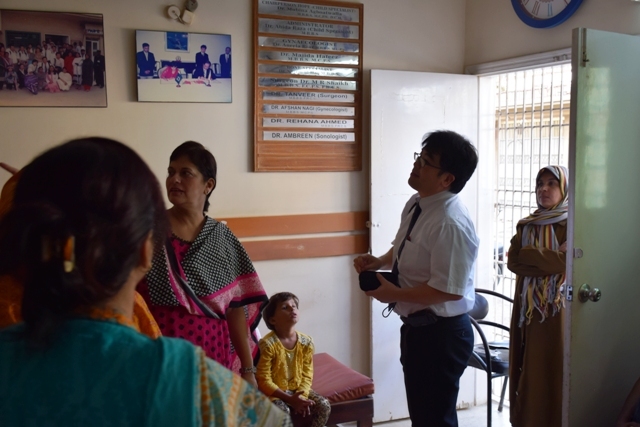 As always particular attention was given by Dr Mubina Agboatwalla, child specialist in Karachi, http://www.drmubinaagboatwalla.com/child-specialist-karachi/ who set up teams and instructed them to be ready and fully prepared and come into immediate action as and when needed. HOPE’s Medical Camps For Eartquake Affectees of Birkot and Puran in Shangla, Swat. HOPE, a vital provider of health and education to the rural, poor masses since 1997 – and a very important and prompt provider of relief during natural calamities such as floods, earthquakes, storms and even the aftermath of terrorist attacks has responded immediately to the floods since 2010, providing food and safe drinking water to the most vulnerable groups, particularly women and children. Over the past five years, we’ve reached over 700,000 people. On this particular occasion, the earthquake in Khyber Pakhtunkhwa, particularly the Swat valley, the areas of Shangla Birkot and Puran in Shangla – the areas most devasted by the recent earthquake in Swat, KPK. After taking an NOC from the DCO’s office, HOPE, an educational and health related NGO in Pakistan supported P&G, Metro Stores & Human Concer International set up two relief and medical camps – one in Birkot and one in Puran extending a very timely help to the earthquake victims of the area.flood affectees of Sindh. The area selected was the flooded delta region of river Indus, a place known as Allah Baksh Brohi . The area was surveyed in advance and by some good fortune a fully erected building became available to HOPE which was a great help in setting up this much needed medical and relief camp for the earthquake affectees – who were advised in advance of the dates and places of their setting up. A very large number of men, women and children flocked to these camps and as many as 600 patients were treated and free medicines distributed. Four doctors participated in this medical camp and they had their hands completely full all day through. So also the dispensary which remained just as busy in giving out the medicines. Some of the old and aged ones, in dire need of medical help, also managed to make it to the camps. Besides medical help the camps provided free warm clothing, blankets, dried milk water, coolers and P&G’s purifier of water sachets. Demonstrations for the proper use of P&G’s purifier of water was provided so that clean drinking water could be made available to all displaced families – the one major reason for the spread of bacterial and viral diseases in the affected areas. As always particular attention was given by Dr Mubina Agboatwalla, child specialist in Karachi, in the selection of the areas in need of such an activities and everything was closely monitored by Dr Mubina Agboatwalla, child specialist in Karachi in the formation of the whole team inclusive of the doctors and also in ensuring that all necessary medicines needed for this medical camp to ensure that nothing short of very good medical treatment was provided to the earthquake affectees. 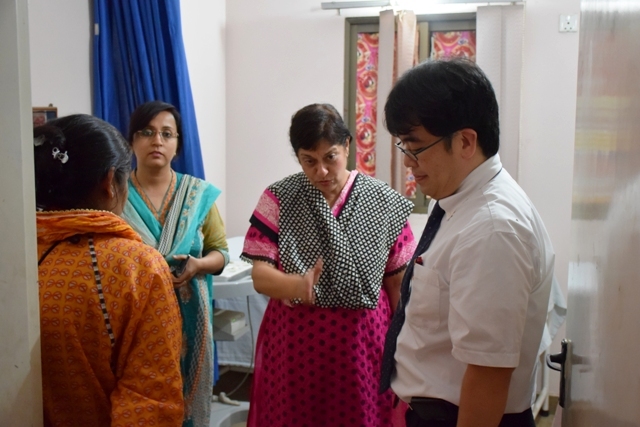 HOPE’s Zia Colony Hospital visited by Japanese Consul for Culture & Public Affairs. 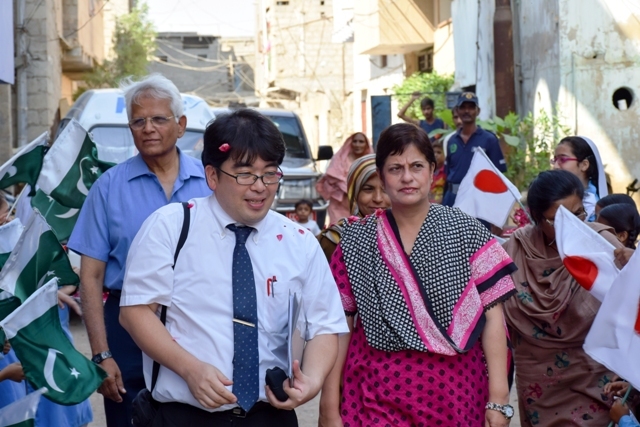 It was in the year 2000 that the Japanese Consulate in Karachi very generously offered to assist in the erection HOPE’s Zia Colony Hospital– the ground and first floor of what is now a three storey structure of housing a very busy maternity hospital . This hospital has now developed a very popular reputation and patients from near and far throng this vital health facility for much needed mother and child medical help. HOPE, a health and educational NGO in Pakistan, worked at a very fast pace and completed the project in 2002 – and was inaugurated in 2002 by the then mayor of Karachi city. 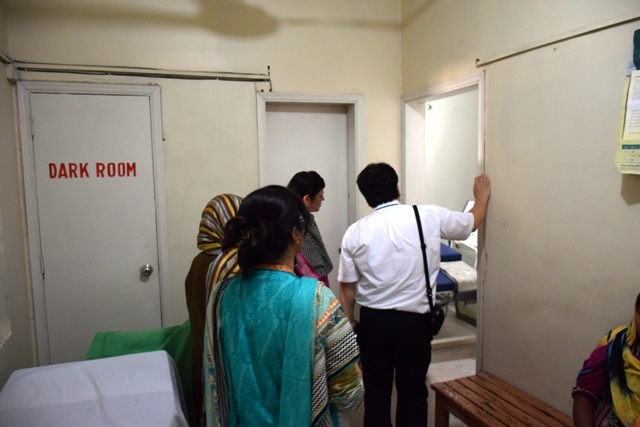 Mr Tosa was taken to all departments of the hospital including ICU, Neonatal ICU, X-Ray Room, Physiotherapy Room, different wards, laboratory etc. 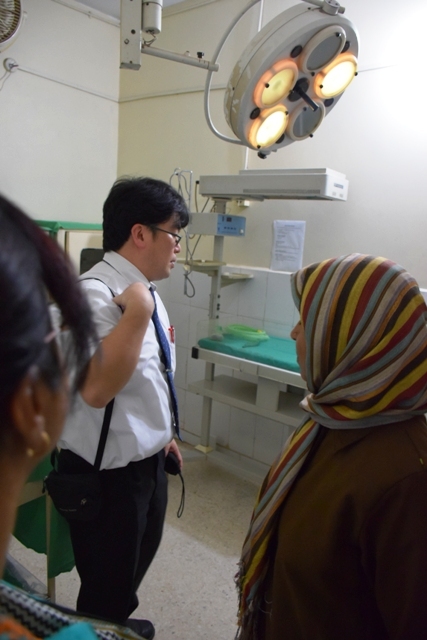 He was extremely happy to see how HOPE’s Zia Colony Hospital had progressed so well over the years. 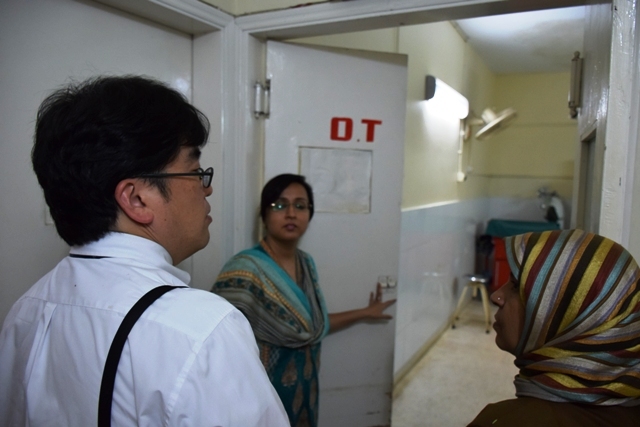 Dr Mubina Agboatwalla, Chairperson of HOPE and child specialist in Karachi, has been the driving force in setting up this and other hospitals at Gurumandir, Karachi and Thatta in rural Sindh – and in ensuring they are successfully and efficiently run – which is why these hospitals have been so effectively popular in the areas where they have been established. Dr Mubina Agboatwalla, Chairperson of HOPE and child specialist in Karachi has always maintained that the health assistance provided to the needy should be of excellent quality. 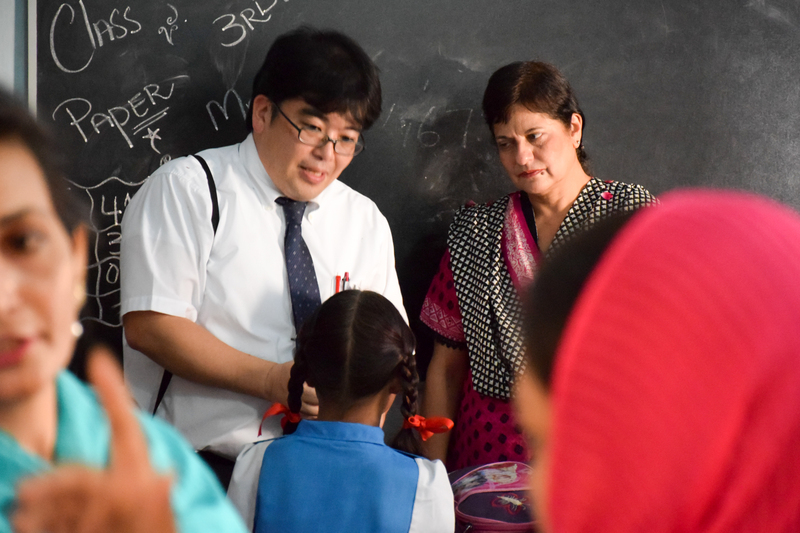 HOPE’s Zia Colony School visited by Japanese Consul for Culture & Public Affairs. 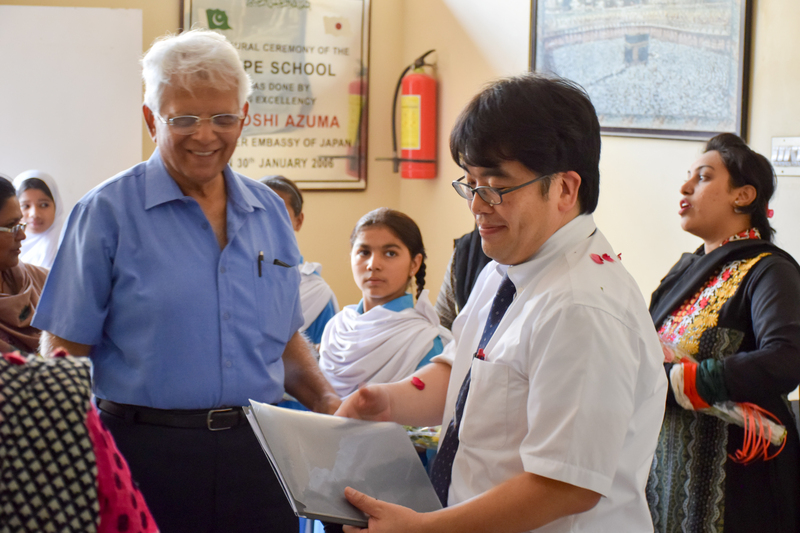 It was in late 2012 that the Japanese Consulate in Karachi generously offered to assist in the expansion of HOPE’s Zia Colony School. The expansion actually was an addition of another much needed floor to fully accommodate the increasing number of students coming from the surrounding poor, slum areas. worked at a very fast pace and completed the project in mid 2013 – which greatly increased the capacity of the school. 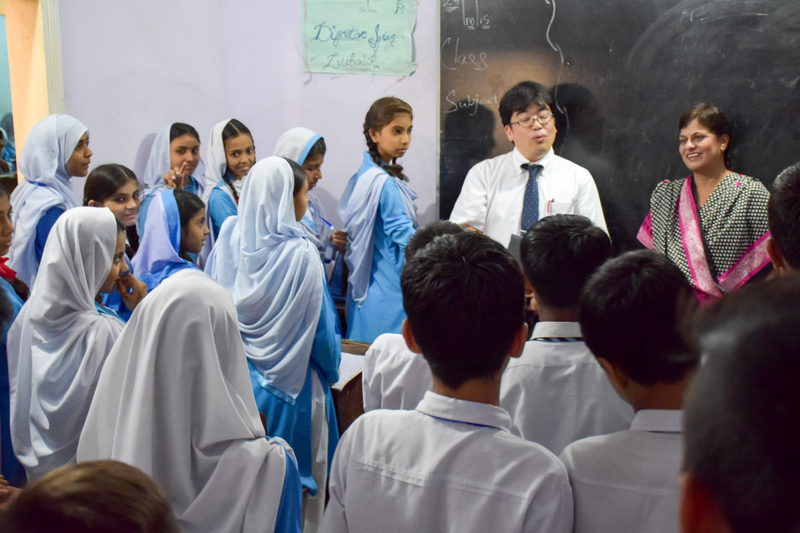 HOPE, an educational NGO in Pakistan, worked at a very fast pace and completed the project in mid 2013 – which greatly increased the capacity of the school. 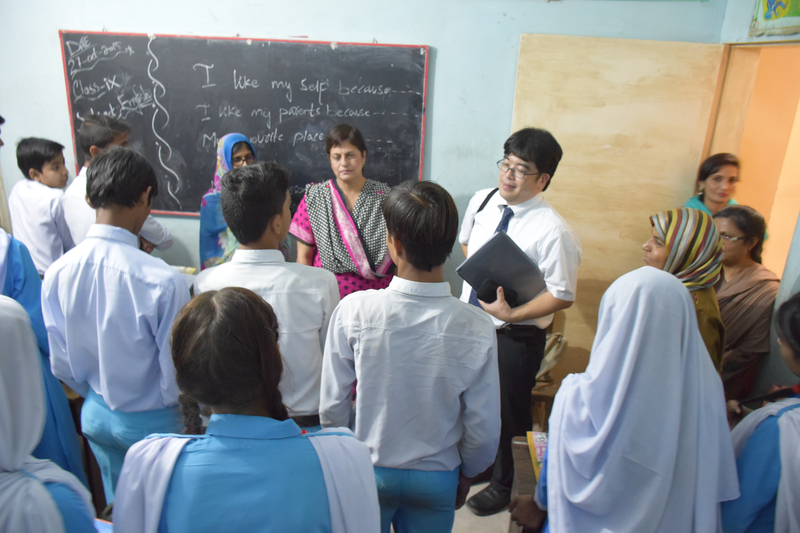 Mr Mitsuaki Tosa, Consul for Cultural & public Affairs visited HOPE’s Zia Colony School to observe the status and progress of the school. The delegates were very pleased with the welcome they were given by the young students of the school. Mr Tosa was taken to all the classes of the school and the library, computer labs, chemistry lab and the vocational center. He was extremely happy to see HOPE’s school had progressed so well within just a short span of one year and some months of its completion. Dr Mubina Agboatwalla, Chairperson of HOPE and child specialist in Karachi has been the driving force in setting up this and other formal and home schools across Pakistan – and in ensuring they are successfully and efficiently run – which is why these schools have been so popular in the areas where they have been established and enrollment of students have been increasing constantly. Dr Mubina Agboatwalla, Chairperson of HOPE and child specialist in Karachi has always maintained that the education provided to the children of HOPE’s home schools should be of excellent quality and all reading materials, such as books etc are all free of cost.